Glibenclamide (or Glyburide as it is known in the US) is recommended by the 2015 NICE guidance for women with gestational diabetes who are either intolerant of Metformin or decline insulin. Despite this recommendation, its use is often avoided either due to clinical concerns about oral agents in pregnancy or its efficacy. This study examined both the efficacy and safety of the drug in comparison with, and as an addition to Metformin. Women with GDM at 13-33 weeks, poorly controlled with diet were randomised to either Metformin or Glyburide which were combined if monotherapy was insufficient. In the Glyburide group, drug failure occurred in 23% due to inadequate glycaemic control and 11% due to hypoglycaemia. For Metformin, lack of control in 28% and GI side effects in 2%. Combining the drugs reduced the requirement for insulin by 21%. There were no adverse obstetric or neonatal outcomes. Overall, the fact that this study showed comparable efficacy between the drugs along with reduced requirement for insulin suggest that Glyburide should be more actively considered with a possible advantage for Metformin over Glyburide as first-line therapy. Hypoglycaemia is the most common complication of treatment for Type 1 Diabetes, usually resulting from a mismatch between the blood glucose and insulin profiles. Avoiding and treating nocturnal hypoglycaemia can be more challenging especially in patients with recurrent severe episodes due to hypo unawareness. Evidence suggests that the more predictable profiles of insulin analogues reduces hypoglycaemia, a fact acknowledged by NICE guidance for T1DM. This cross over study of insulin Detemir (Levemir)/ aspart (Novorapid) and human NPH/ human regular insulin in 72 patients used hourly venous blood sampling to obtain glucose profiles for 2 consecutive nights. Mean blood glucose levels were higher in the analogue group although fasting glucose was similar. Nocturnal hypoglycaemia was less common in the analogue group (16% v 41%) Overall, the study confirms the known benefit of analogues with regard to hypoglycaemia but also demonstrates the benefit of the nocturnal glucose profile although this was only achievable with invasive testing. Newer monitors such as the freestyle libre may enable more comprehensive profiles to be obtained in order to avoid nocturnal hypoglycaemia. This document is the latest from NICE regarding hypoglycaemia. 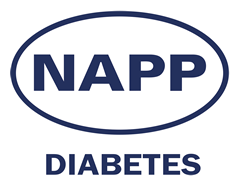 It advises: 1 Clinicians should ensure that people with diabetes who are receiving insulin therapy are given information about awareness and management of hypoglycaemia. 2 People with diabetes who use insulin and who drive should be aware of the need to notify the DVLA. 3 Clinicians should be aware of ‘sick-day’ rules and should ensure that people with diabetes who are receiving insulin therapy are given information about these. 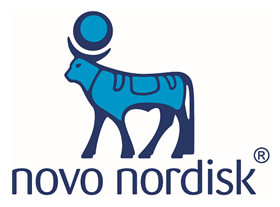 4 They note that several new insulin products have been launched, including high-strength, fixed combination and biosimilar insulins and clinicians should be aware of the differences between these products and ensure that patients receive appropriate training on their use. 5 People should be advised to only use insulin in the way they have been trained. Finally, it recommends that adults who are using insulin therapy should receive a patient information booklet and an ‘insulin passport’ (although in the text, a safety card is seen as equivalent to the cumbersome passport). None of this is rocket science…. This study examines the health and economic outcomes of different therapeutic approaches in older patients with type 2 diabetes failing on metformin (M) monotherapy. The Clinical Practice Research Datalink (CPRD) database was used to identify 10,484 patients requiring escalation (addition or switch) to a second-line oral regimen from 01-01-2008 to 31-12-2014. Primary outcomes included time to first event (any event, myocardial infarction (MI), stroke, or composite of MI/stroke [major adverse cardiovascular event; MACE]) and total event rate. Health economic consequences were assessed using the CORE Diabetes Model (CDM). The majority of patients (42%) received a sulphonylurea (SU) as second-line treatment whilst 28% switched to SU monotherapy (28%). In multivariate adjusted analyses, total event rates for M + dipeptidyl peptidase-4 inhibitor (DPP-4) were significantly lower than M+SU for MACE (0.61, 95% confidence interval [CI]: 0.39–0.98), driven by a lower MI rate in the DPP-4 group (0.52, 95% CI: 0.27-0.99). Economic analyses estimated that M+DPP-4 was associated with the largest gain in health benefit. This study supports the use of DPP-4s in the elderly, where they are not only safe but cost-effective. There is no doubt that the ‘dyslipidaemia’ which fibrates partially reverse (low high density lipoprotein (HDL) cholesterol and increased triglycerides) is associated with adverse cardiovascular (CV) outcomes. The problem has been the difficulty in demonstrating that fibrate use reduces CV events. 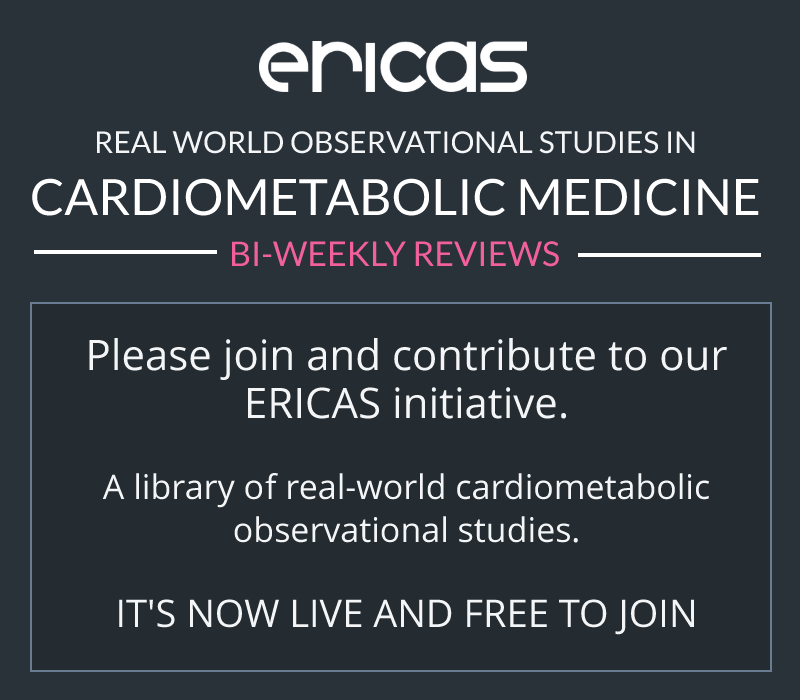 Dyslipidaemia is common in type 2 diabetes (as part of the ‘metabolic syndrome’), and so fibrates have been examined in two large diabetes CV outcomes studies – FIELD and the ACCORD lipid study. The latter investigated their use in addition to statins (as would be real-life practice) and both studies yielded negative results, aside from a possible reduction in progression of diabetic retinopathy. This publication presents data from a five-year passive follow-up of 4,644 patients who were treated in the original ACCORD lipid study. Only 4.3% of them continued on fenofibrate therapy and overall, the same neutral effect on CV events was seen. However, a reduction in CV outcomes in the subgroup of patients designated as having dyslipidaemia, as reported in the original trial, was maintained. Perhaps fibrates do have a role in this cohort? This is without doubt an impressive book but even more impressive is the fact that it is the work of a single author. Now of course that is not unique but this is a big book which runs to over 1670 pages and for one individual to produce this reference work is an impressive feat indeed.